If you asked most folks if formaldeyde sounds like a great ingredient for baby shampoo, they’d say “no.” And possibly also, “ew, gross.” Baby-goods behemoth Johnson & Johnson agrees that formaldehyde is not so much a thing your baby needs, and has rinsed it right out of their iconic yellow shampoo. 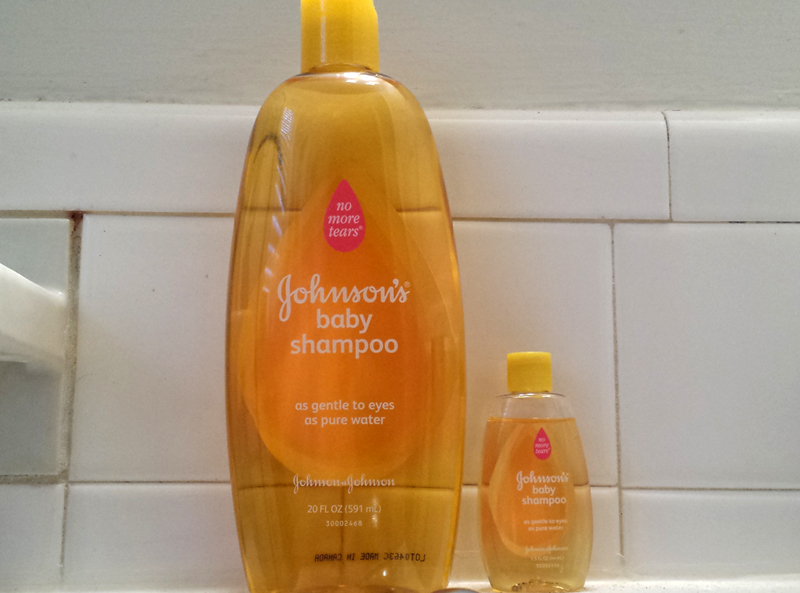 As the New York Times reports, Johnson & Johnson announced this week that they have finished reformulating their baby shampoo, and the new version will start appearing on store shelves worldwide soon. The new! improved! version removes two potentially harmful chemicals–formaldehyde and 1,4-dioxane–from the big bottle of yellow suds. In response to pressure from consumers and activist groups, Johnson & Johnson promised back in 2011 to phase out the chemicals in question by the end of 2013. The company has not only come up with a new formula for their famous baby shampoo, but also for roughly 100 other baby-care products in their lineup. Both formaldehyde and 1,4-dioxane have been coming under fire in recent years for their links to cancer. Neither existed in its pure form as an ingredient in Johnson & Johnson products. Common preservatives that were used on Johnson & Johnson products, however, have been known to release formaldehyde over time. And a process used to make other ingredients mild (no more tears!) can create 1,4-dioxane. The company also plans to remove the chemicals from their other product lines, like Neutrogena, by 2015. Johnson & Johnson cites evolving customer preferences for the switch, and insists that all their products have always been rigorously safety tested and have met all relevant regulations in both the US and EU. Parents who just bought a giant new bottle of baby shampoo six days ago (sigh) don’t need to throw it away just yet. It will take “several months” for the new baby products to make their way onto store shelves and replace old inventory.